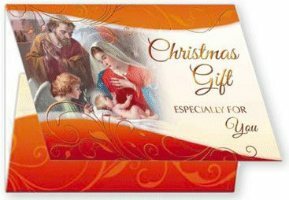 We hope you enjoy browsing through our Lourdes gift section. 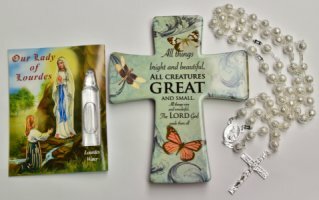 Make any Easter, Christmas or special occasion perfect with these memorable gifts ideas, as these gifts from Lourdes are gifts to be remembered. and all sets are suitably gift-wrapped. 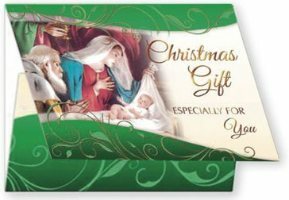 Lourdes Water Mints Gift Set. 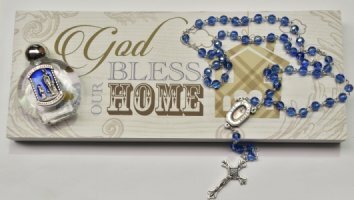 God Bless This House Wall Art & Lourdes Water Gift Set. 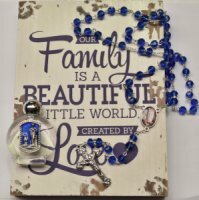 Your Family Is Beautiful Gift Set. 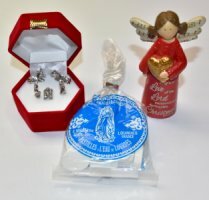 Christmas Nativity Gift Set with Lourdes Mints & Angel. 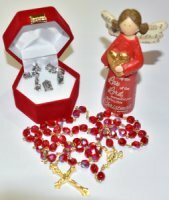 Christmas Gift Set with Nativity, Rosary & Angel. 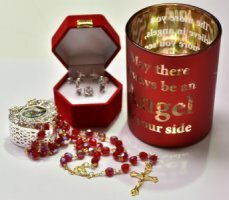 Christmas Gift Set with Rosary & Angel. 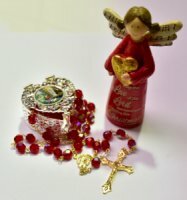 Christmas Candle Gift Set with Rosary. 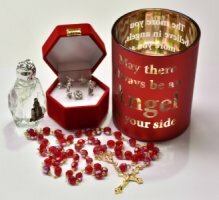 Christmas Candle Gift Set with Rosary & Lourdes Water. 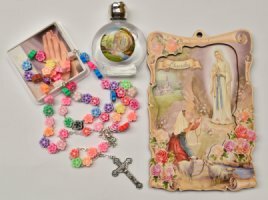 Lourdes Key Ring & Rosary Gift Set. Christmas Gift Set with Lourdes Water. 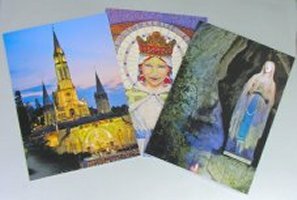 Lourdes full color Cards + Envelopes for Christmas or Birthdays. All Creatures Great & Small Gift Set. 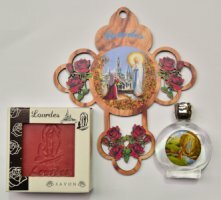 Lourdes Wall Plaque & Holy Water Gift Set. 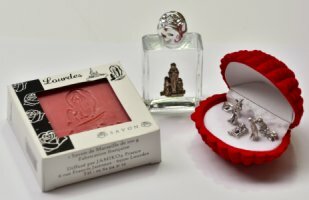 Lourdes Soap Gift Set with Lourdes Water & Cross. 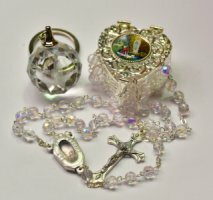 Divine Mercy Catholic All Saint's Gift Set. 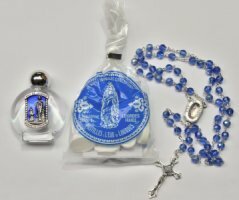 Lourdes Water & Rosary Gift Set.